What is happening in the south? In a state known for its fair weather winters, we woke up to eleven degree temperatures and our second snowfall in as many months. So while the neighborhood kids were rejoicing over closed schools, I was grabbing my gloves and my Uggs and heading out with the camera. 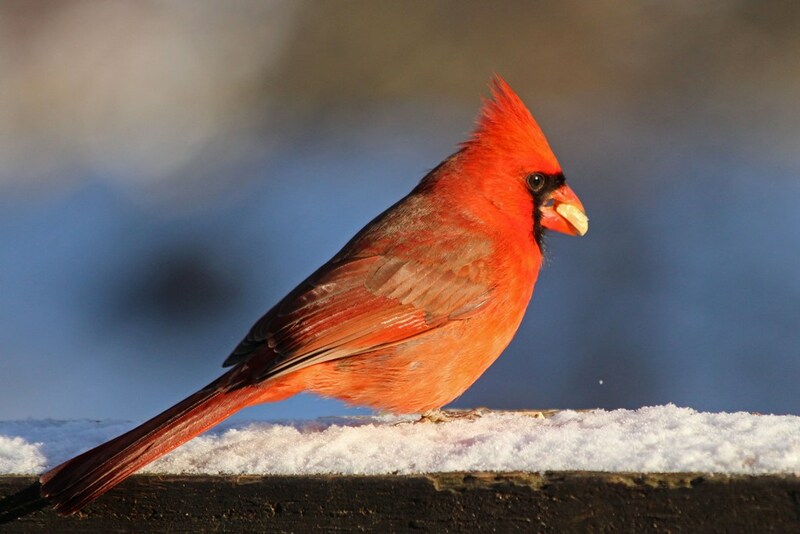 And now for the Cardinal, whose red feathers always look so stunning against a snowy backdrop. 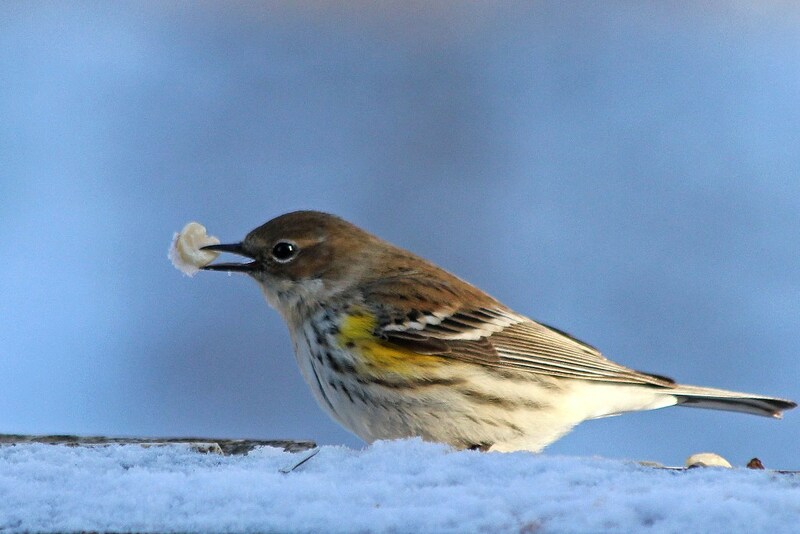 And we’ll close out with the Yellow-rumped Warbler, who took a break from his aerial antics to grab a bite to eat. 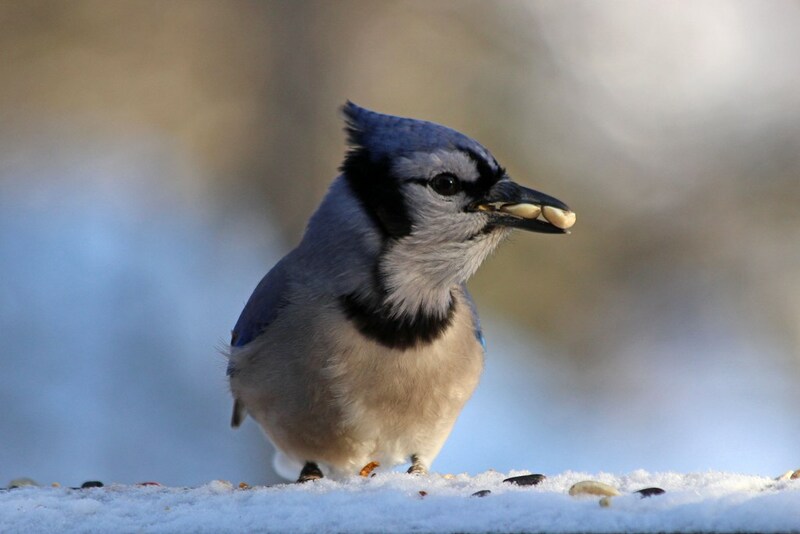 Okay…the Blue Jays were so breathtaking today that I can’t stop at three…so let’s end how we started, with three more photos of these bold beautiful fellows. Ah…snow days are the best! 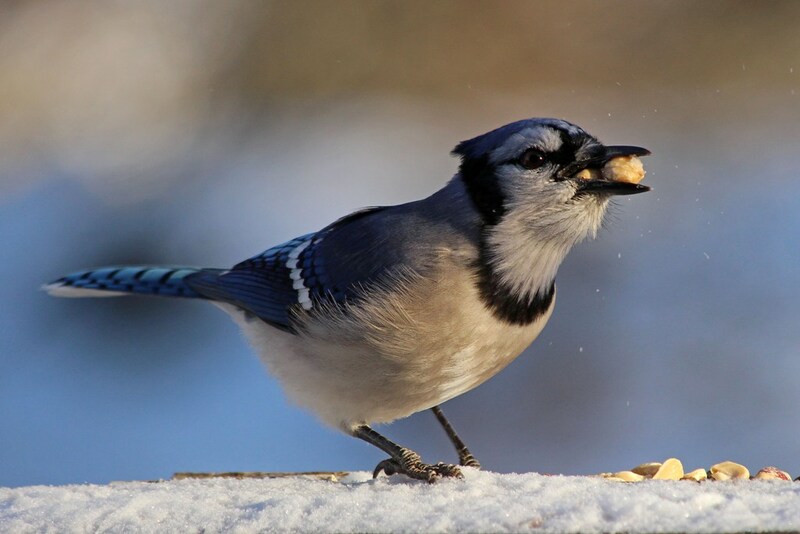 This entry was posted in Backyard Birds and tagged beauty, birds, hobbies, nature, outdoor photography, photography, snow, winter, writing. Bookmark the permalink. Definitely fun! Freezing, but fun! Beautiful shots! 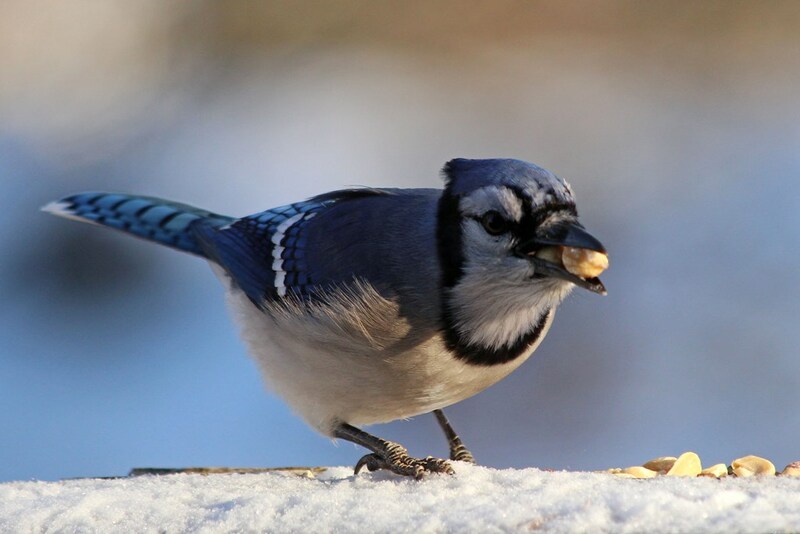 For some reason I have no good photos of Blue Jays or Cardinals. You have some crackers here. 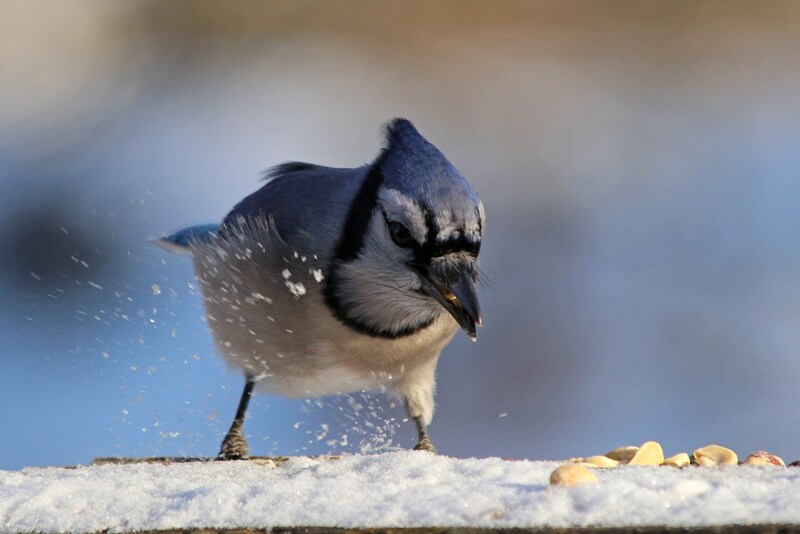 The Blue Jays have such personality. 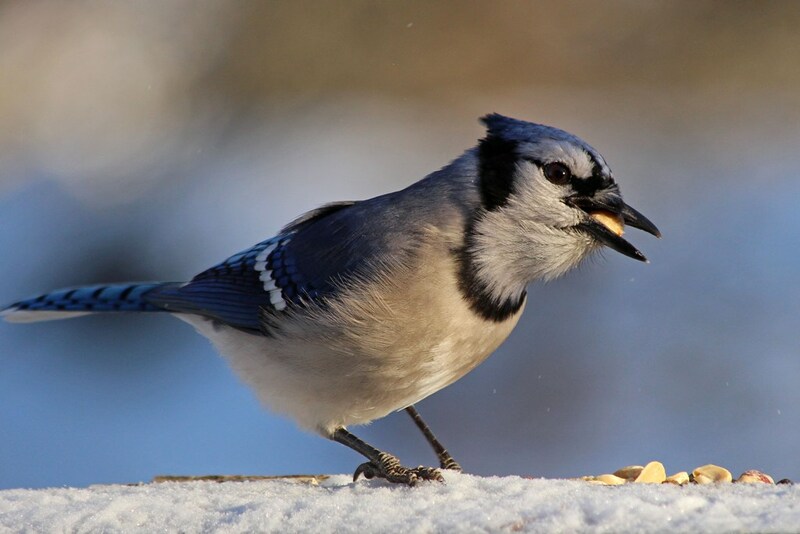 I think they are probably my favorite bird to photography. I stood out for about 40 minutes and I’m pretty sure every part of me was frozen! 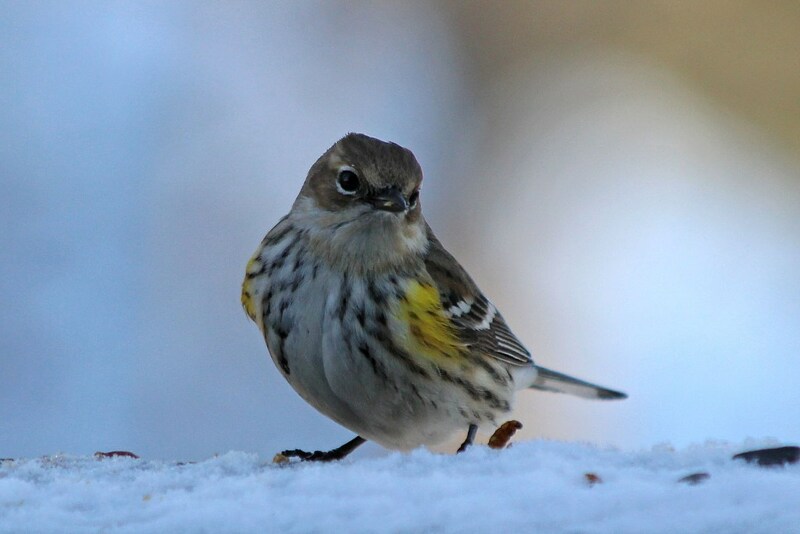 Funny thing is, I am not a fan of cold weather…unless I have a camera! Beautiful photos! 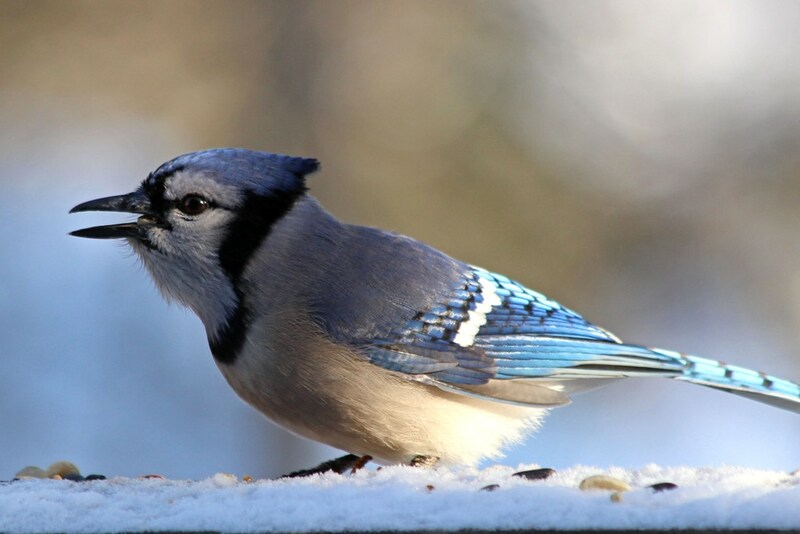 I love the blue jays and cardinals. I wish we had them here! My Grandson, Benjamin, and I are visitors from Jodi’s blog this morning. Benjamin is in love with all of your beautiful birds. We are doing two things…exploring previous posts and signing up to stay. Thank-you x 2!! 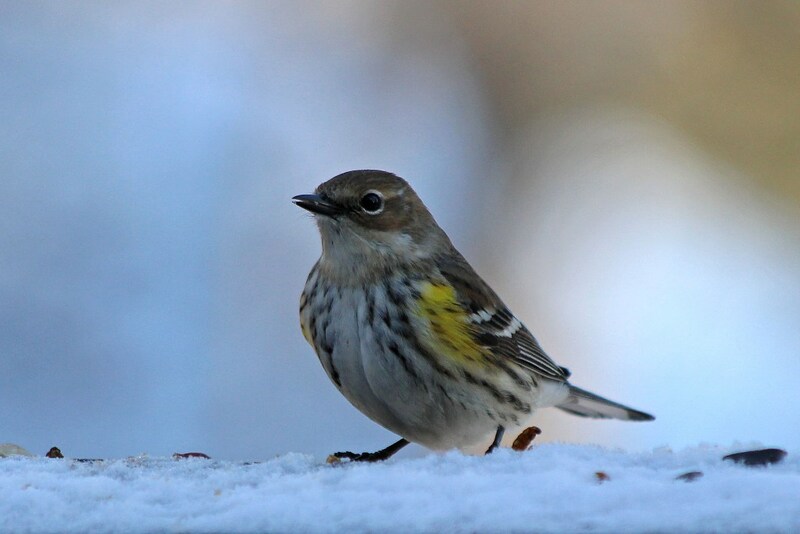 Beautiful photos of some beautiful birds! I like the snow! 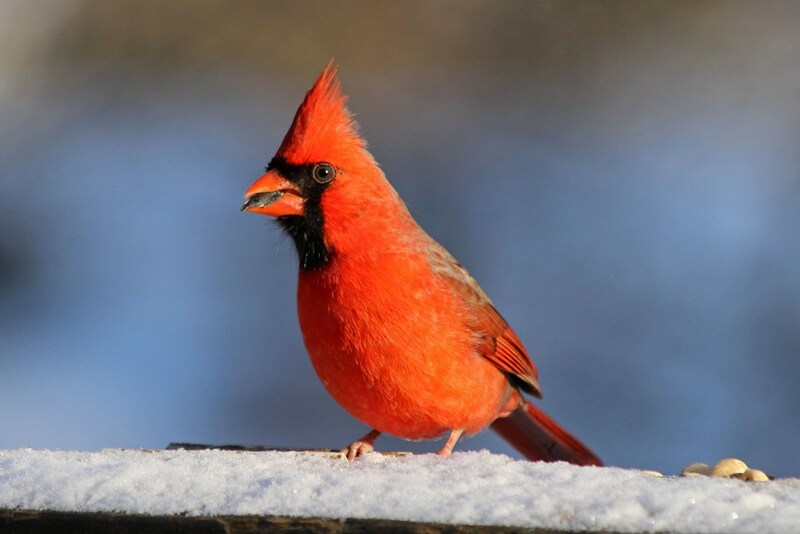 I like the snow too…now come on spring!! Wonderful shots, Kathy! 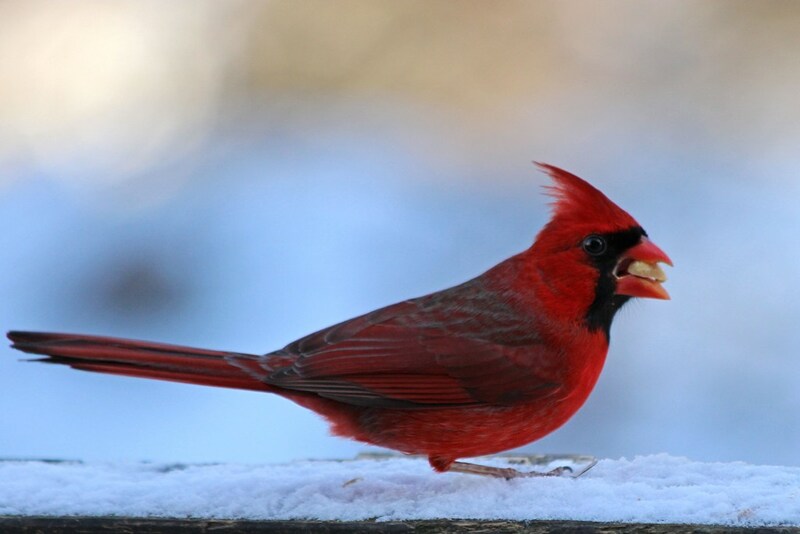 Love both the birds and the depth of field. Have a great weekend!